Are you smart and creative? Are you a slave to the disco beat? The O-vation Group is seeking DJ’s to cater functions and weddings across the Greater Sydney region. You will be trusted to provide the soundtrack to the most special of occasions. Personality & Presentation – Successful candidates will be professional in appearance, should be easy-going, funny, and able to quickly meet and connect with unfamiliar people. Candidates should also demonstrate an ability to maintain control of unruly (drunk, flirtatious, argumentative) patrons. Musical Knowledge, Communication and Diction – Successful candidates will boast a strong knowledge of, and passion for popular music. Candidates should be able to identify popular songs and bands, and should be able to speak intelligently over a microphone. 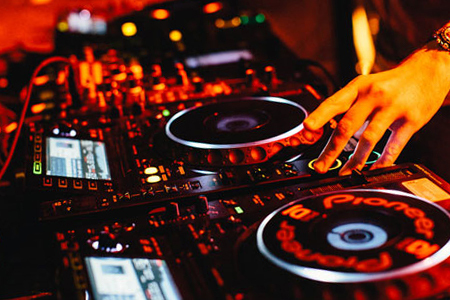 Critical Thinking Skills – Candidates should be able to identify and solve technical and other problems that may crop up in the course of preparing for or running a DJ set. Successful candidates will be required to have their own car, in addition to standard O-vation staff requirements, and will be required to undergo significant training before placement. You will be required to sign and abide by the O-vation Performer Terms and Conditions of Hire and the O-vation Code of Conduct, and may not be under contract to any other agency. Cover Letters and Resumes should be sent electronically only to Mark Oliveiro, Artistic Director, at mark@o-vation.com.au. Are you enthusiastic, engaging and all-round awesome? Are you comfortable speaking and spruiking in a crowded environment? Do you enjoy the feeling of being the smartest person in the room, and are you deluded enough to believe it just because you have the answers to the quiz in front of you? The O-vation Group is seeking trivia hosts to run Brain Buster big-screen trivia events across Sydney and Melbourne. You’ll have the opportunity to work at least one night a week at pubs, clubs and restaurants, meeting new people and getting to know them. You will prepare your equipment, host the game, keep score, and present prizes to teams. The average game goes for about 150-180 minutes, including equipment set up and pack down. Personality – Candidates should be easy-going, funny, and able to quickly meet and connect with unfamiliar people. Candidates should also demonstrate an ability to maintain control of unruly (drunk, flirtatious, argumentative) bar patrons. General Knowledge, Communication and Diction – Candidates aren’t required to be incredibly intelligent, but should have a wide general knowledge. Candidates should be able to pronounce the occasional foreign or academic term, and articulate questions intelligently over a microphone. 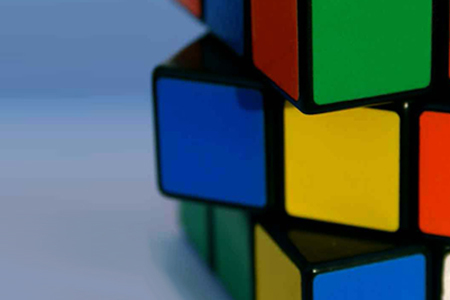 Critical Thinking Skills – Candidates should be able to identify and solve technical and other problems that may crop up in the course of preparing for or running a trivia event. Successful candidates will be required to have their own car and laptop computer, in addition to standard O-vation staff requirements, and will be required to undergo significant training before placement. You will be required to sign and abide by the O-vation Performer Terms and Conditions of Hire and the O-vation Code of Conduct, and may not be under contract to a trivia company that is not a member of the TriviaWorks Alliance. Cover Letters and Resumes should be sent electronically only to Andrew Quah, Director of Creative Arts, at andrew@o-vation.com.au.